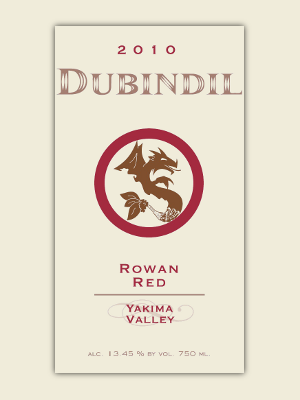 Our 2010 Rowan Red captures your attention with bright Salmon berry fruit, hints of bell pepper, herbs, white pepper and a spark of freshly cut grass. This low alcohol wine compliments the tannins which are nicely balanced with pleasing acidity. Pairing Notes: With such a bright pleasing flavor, this wine pairs well with any hearty southern Italian dish such as a lightly topped pizza or a spicy Spaghetti with roasted tomatoes and herbed chicken.